The third wave coffee trend is something that is empowering farmers and small to enormous sized coffee companies all over the world. To understand this model we realize the importance of every actor in the supply chain. The supply chain is the producer, importer, roaster, barista, and consumer. It has gone beyond it being about consumer’s access to coffee, to coffee that is the result of everyone’s hard work. The technology we have access to allows everyone in the supply chain to be transparent and to connect. We are able to source amazing coffees across the world and have them delivered at a days notice. The most important factor we have noticed in Quanta Coffee is being able to build a trustworthy relationship with our farmers. We have gone past the simple negatives a farmer has because he hasn’t gotten their certifications that are desired in the market to a model where we build a relationship with the farmer. The relationship built have helped us develop some of the most interesting coffees we have ever tasted. 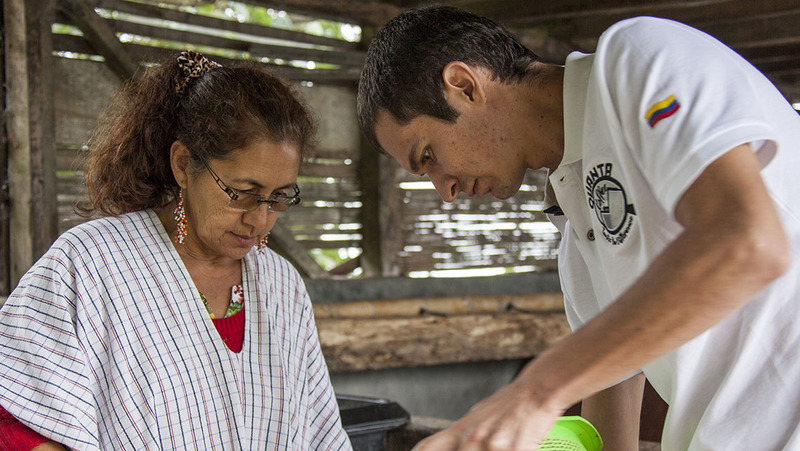 We have focused on helping and motivating farmers to produce specialty coffees. We are constantly buying nanolots from farmers above market prices to help develop a potentially amazing coffee. We help the farmer with techniques, and feedback at a weekly bases. Once these nanolots are bought we proceed to roast them and serve the local community with freshly roasted coffee. Having a strong connection with our baristas in the Quindío region has allowed us to have data we can provide the farmers with and a proven coffee we will offer the International Markets. We are working diligently in the Quindío department to bring you amazing coffees. Our Quality Director Luis Miguel Hoyos is responsible for the amazing coffees we are able to provide you. The small process done on a weekly bases is the big difference we can provide.